Simple and open to being used for different occasions. Here's a close-up of the ribbon rosette - I'm loving these at the moment! Kiwi Kiss is my least favourite colour Danielle, but I am liking your "delecate" use of it on this card. 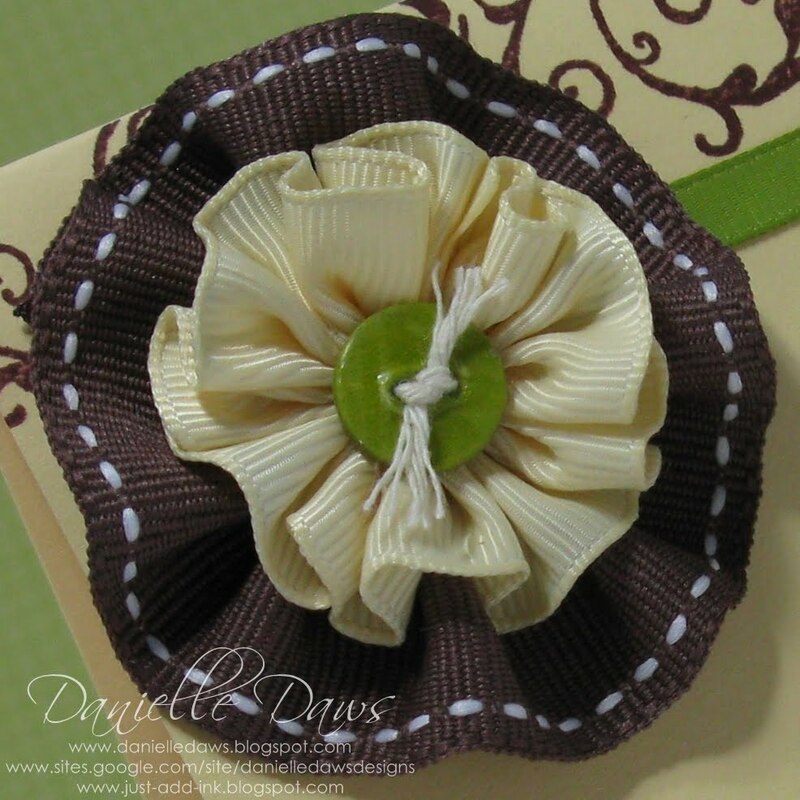 Those rosettes are gorgeous with your homemade buttons too! You are a very clever chickie! Stunning as always Danielle and yes very yummy colours. Beautiful card, very elegant. Love the colour combo. I love your rosette flower. 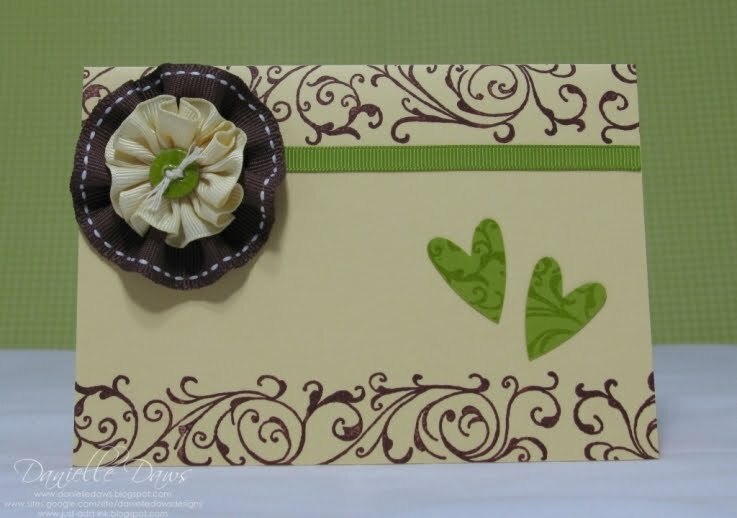 It looks so nice in the colours you used and goes so well with the Chocolate Chip Baroque Border.